If so, is anyone willing to go in on a bunch of them? They're the same as the MakeNoise ones but in a custom colour. There is a thread somewhere here about them and potentially ordering them, but I can't find it for some reason. I wanted to do my rig with the same knobs and gave up in the end as I think it was a major hassle to source them, but that may be different now. Thanks for looking, I also went back through all of the threads I could but haven't found it yet. 8_) You are most welcome! I think I'll be doing this too, so jumping on the thread in case anyone can find the info. Here is a thread concerning some info on the old knobs and the rogan style being used now. No news on the large badass orange ones being used yet but I will keep searching. Some of the folks on this attached thread may also be helpful. When we get some part numbers, maybe we can get some figures and see if its looking like a group buy situation? I'm verry interested in this... I'd like a mix of the old ones and the new ones. 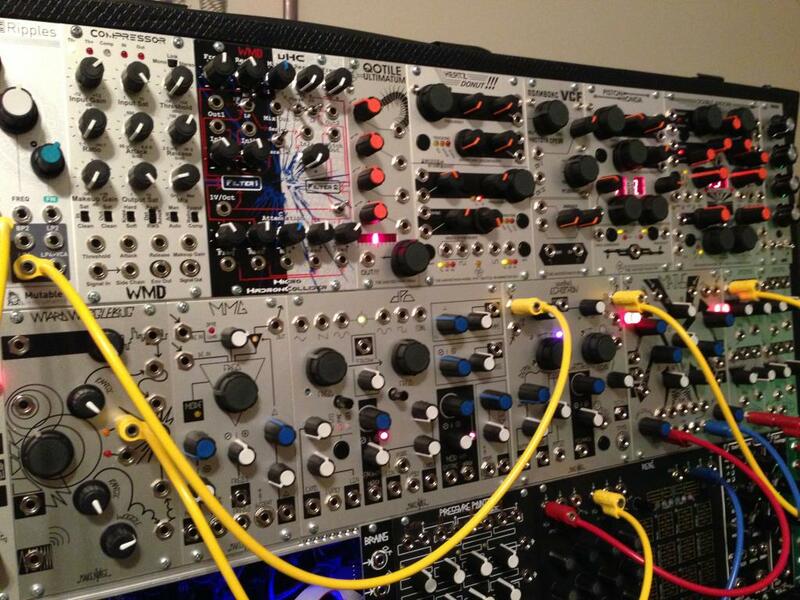 I'll be happy to find the knobs the size of the blue knobs from Makenoise but in the orange harvestman style. He said he'll try to have some in stock. I'd want the old ones and the new ones. I bought a bunch of the large old Sifam ones from Rapid UK recently. The smaller old ones, which I'd really like, are discontinued and I haven't been able to find them anywhere. I'd be interested in new ones of all sizes if something can be organised. Edit; I'm guessing the new ones are custom, not available commercially. Sure the gov will correct if I'm wrong. If someone wants to set up a group buy, I'm all in. I'd also be in for buying some of the new style knobs! 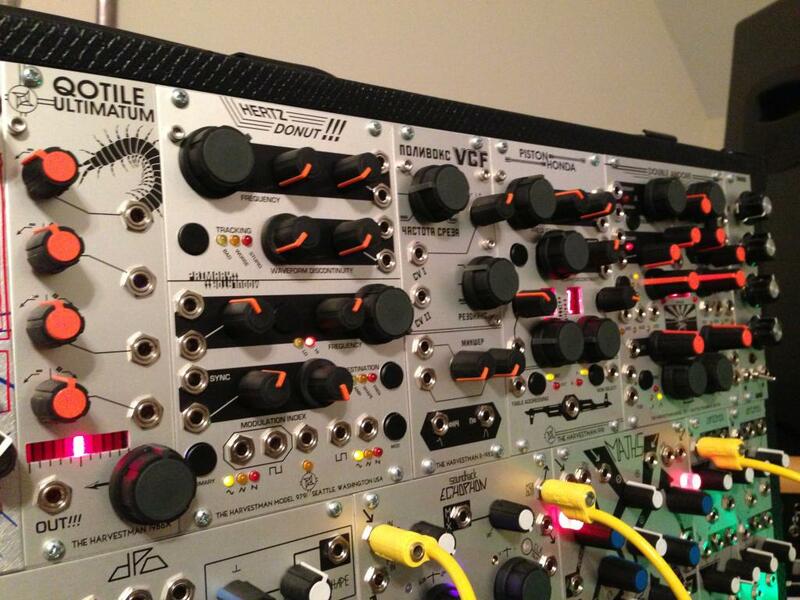 My Harvestman stuff is currently a terrifying chimera of mismatched knobs.